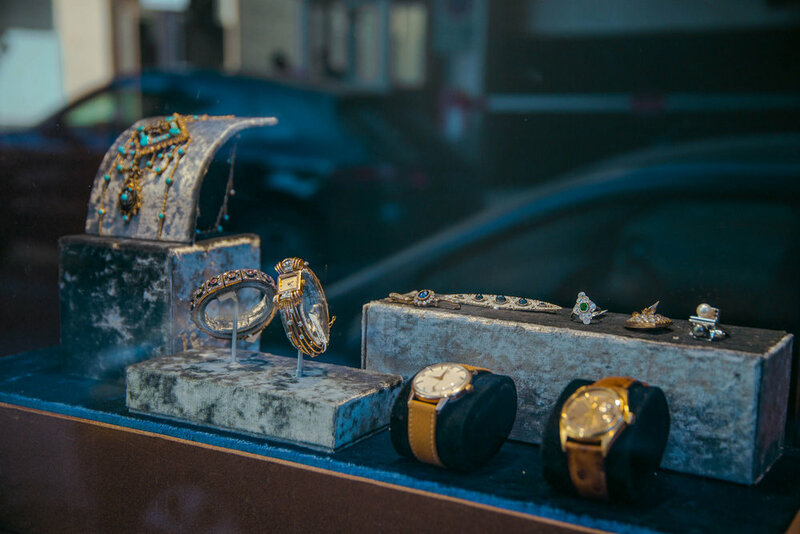 The Jeweler is a specialized shop for assessing the value of Vintage and Antique jewelry, and purchasing and selling jewels and watches. The Jeweler benefits from the expertise of acclaimed jewelry designer and gemstone specialist Selim Mouzannar. -scope Ateliers designed a Latin typographic logo based on styles of engraved lettering in the tradition of the nineteenth century European type design. The Arabic logo is a unique, custom typographic adaptation of the Latin type. 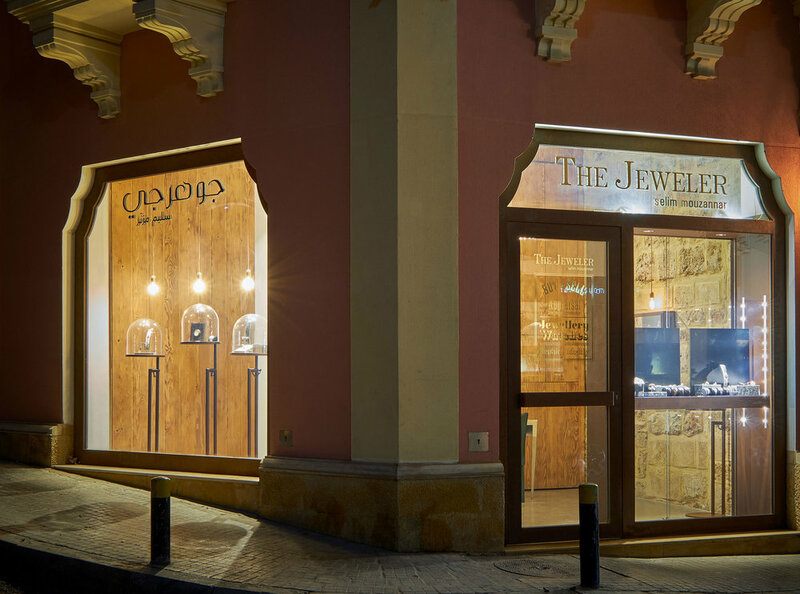 -scope Ateliers also designed and manufactured the shop's window displays for jewels and watches.